Posted on January 17, 2012, in Cookies, Council History, Girl Scout Memories Project and tagged cookies, crackers, Golden Yangles, postaweek2012, Sesame Wheat Crackers. Bookmark the permalink. 4 Comments. I fondly remember eating FFV chocolate covered peanut butter sandwich cookies. I last saw them in the New York area as a teenager in the 1980s. Are they still made? I would love to know where I can buy them. They are still my favorite cookie ever. I was on a box of Sesame Wheat Crackers and still have the box! I remember the FFV chocolate covered fig newtons. My mom would pack two in my lunchbox I took to school. They were so good. 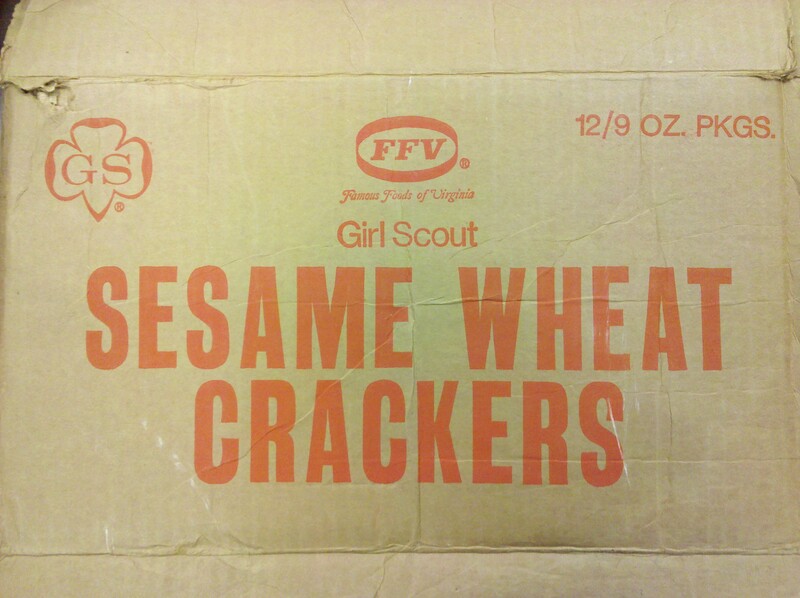 I sold Girl Scout cookies produced by FFV in the 1960s. I remember when the price went up to $1.00 per box!